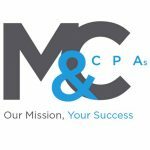 Montgomery & Company, CPAs PA is a professional firm specializing in tax preparation and planning, controllership services, and accounting software support (e.g. QuickBooks, Bill.com, and Tallie). They also offer accounting, bookkeeping, IT consulting, financial planning, payroll services, and more. Work For Montgomery & Company, CPAs PA? Claim This Page.